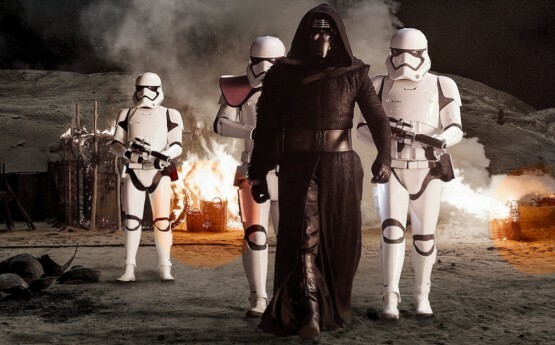 The 100-day countdown for Star Wars The Force Awakens has begun. It will be released in the UK on 17 December so British audiences will see it 24 hours before fans in the US. Trailers for Star Wars 7 have offered glimpses of our wicker rattan baskets on fire! Set 30 years after Return of the Jedi, The Force Awakens will see the return Harrison Ford as Han Solo. We wonder if he noticed our baskets as the same baskets he’d seen being made in our jungle workshops when he visited the rain forest in Indonesia whilst filming The Years of Living Dangerously in 2013?